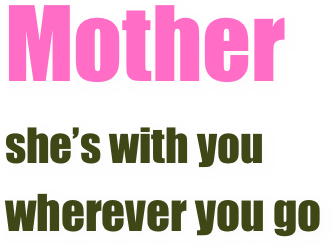 "MOTHER … is one of the best one-woman shows I’ve seen in a long time…strikes a raw nerve… brilliant piece of work… Her ability to flow from insecure little girl Mary-Beth, to adult Mary-Beth battling with her mother is a marvel to watch. She makes the transformation look so easy and believable. 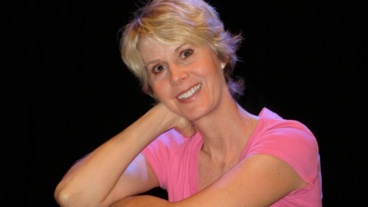 … a wicked sense of humor… an excellent performer…Mary-Beth, a bright star." 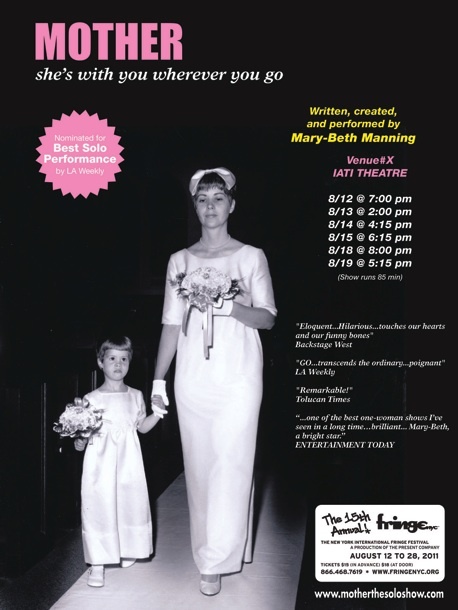 "The remarkable Mary-Beth... holds her audience with sheer confidence, energy and enthusiasm!" "...fine performance to take ones mother or it's equivalent to...very charming, appealing, inspiring..."
"Manning graces the stage...and dons many hats, giving us the experience of beholding real people on stage..."